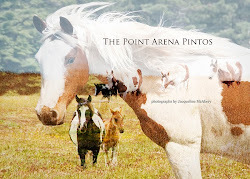 The Pintos and I want to thank you for following their adventures on this blog and for all your support and encouragement. 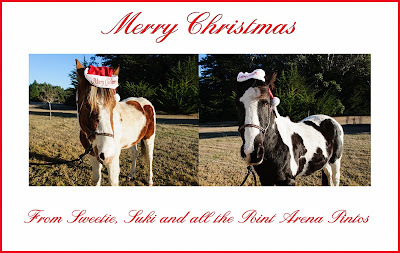 Sweetie and Suki agreed to pose for the Pinto Christmas card this year. They would like you to click on their card so you can see a bigger version. We wish you all a happy, joyful and peaceful holiday season and may 2014 be filled with light, laughter, fun and a few neighs! 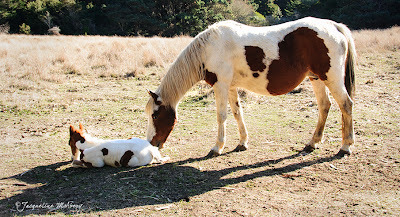 We misjudged when Polka Dot got pregnant - we have been waiting for a new foal since September. 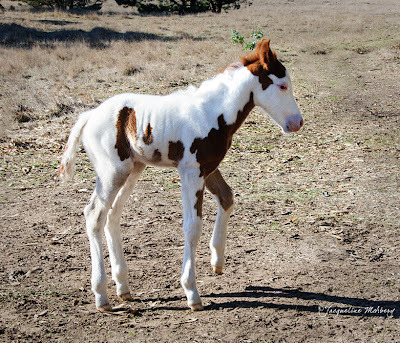 He finally arrived on December 9th. 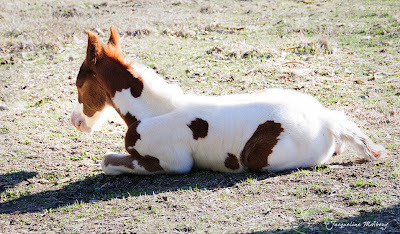 He is a sweet little thing and we named him"Mystery" since his arrival date was so mysterious. 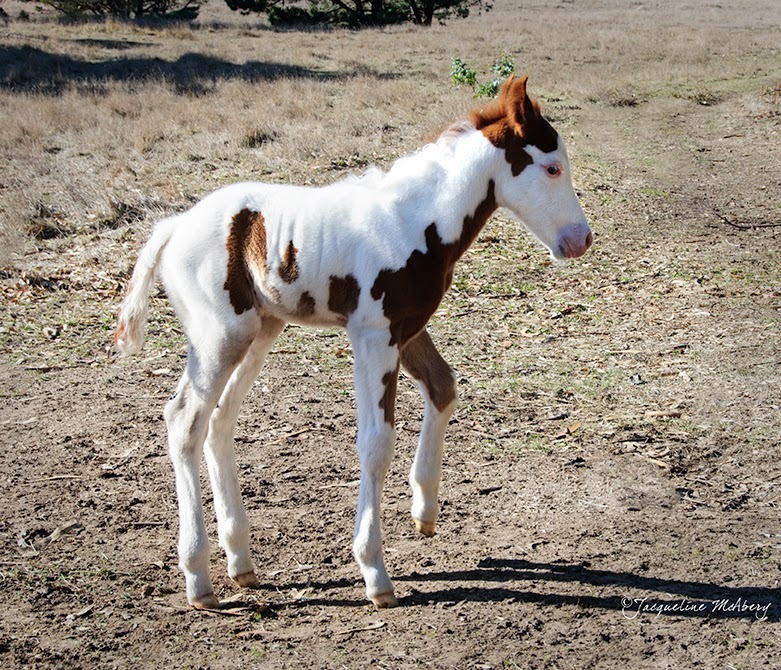 Below are photos of him one day old. 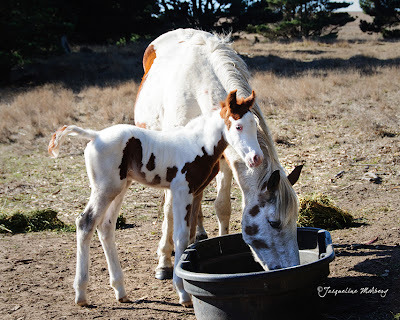 Polka Dot watches her new baby proudly! Being a day old is hard work, "Time for a rest." Polka is a very good mom, she is checking on her baby. 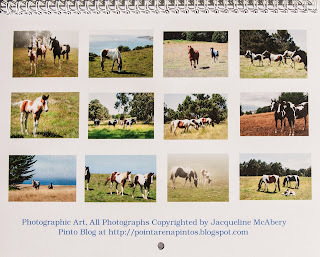 The Pintos help you with your Christmas Shopping - calendars, book and T-shirts! 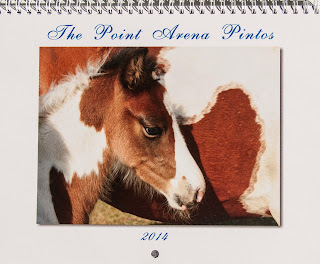 The pintos have some goodies for you to purchase as Christmas gifts. 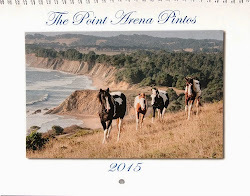 If you live in the Gualala/Point Arena area you can find the calendar at The Four Eyed Frog Books. 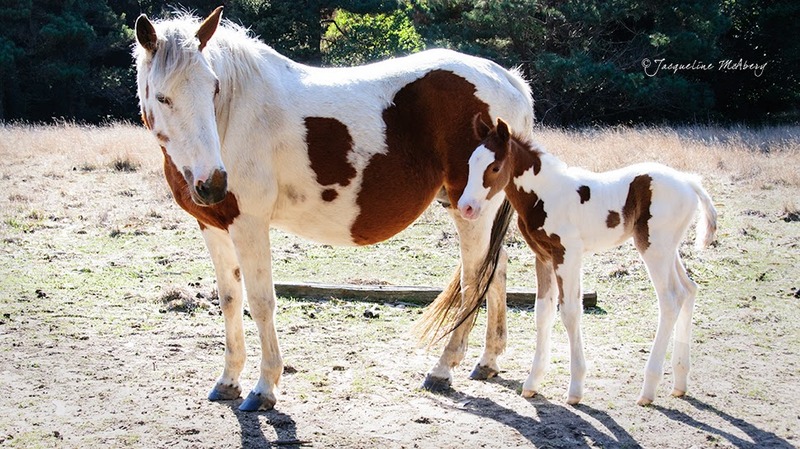 there is also a brief history of the herd. 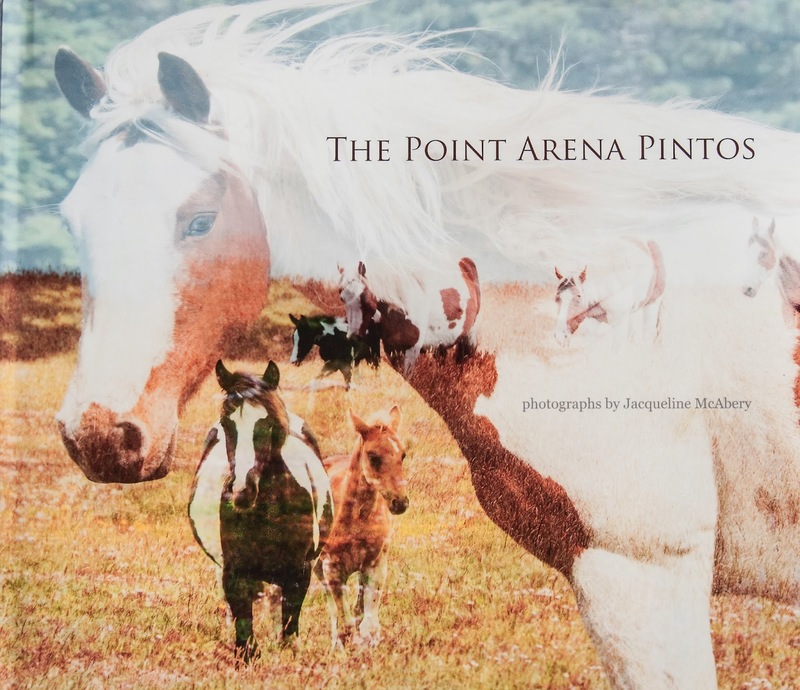 A great book for any horse lover! 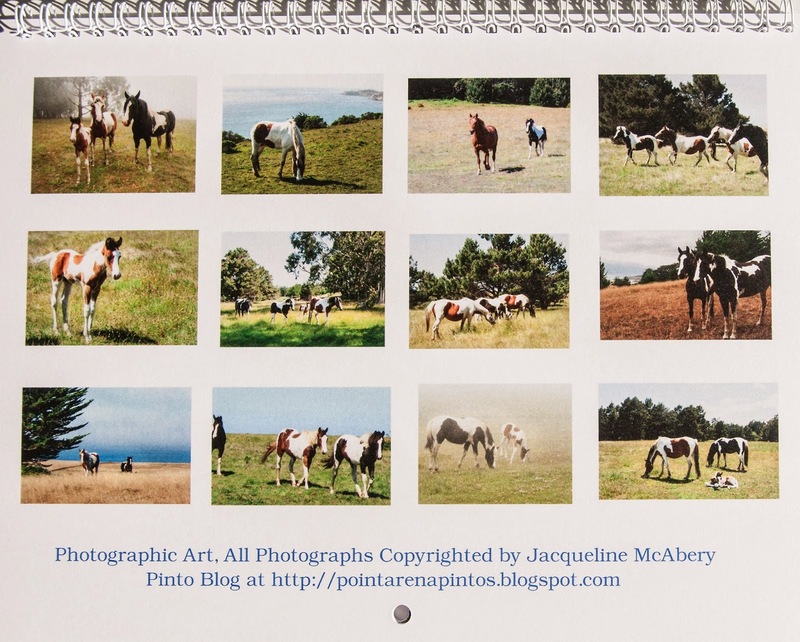 The book can be purchased directly from me for $95.00. 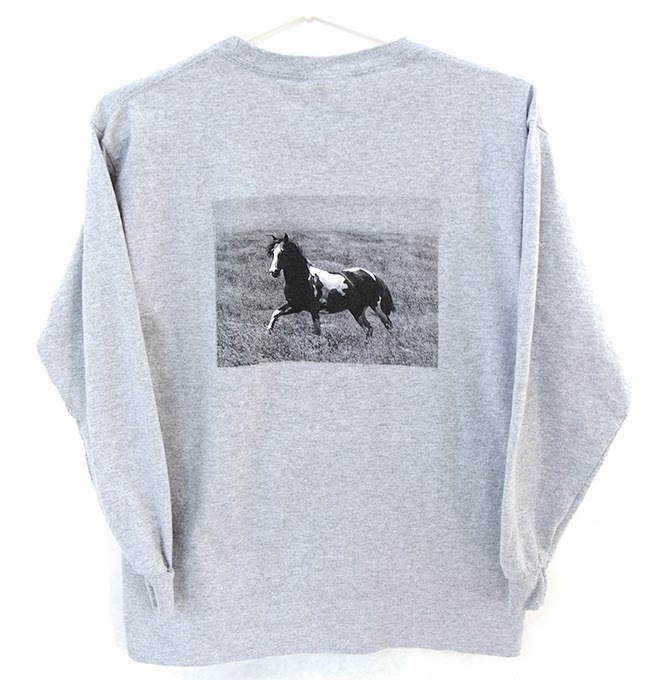 Thunder is proudly on the back! Shipping is an additional $5.00.